The light flowers, stems, and leaves first appear as if they could be katazome, but no. 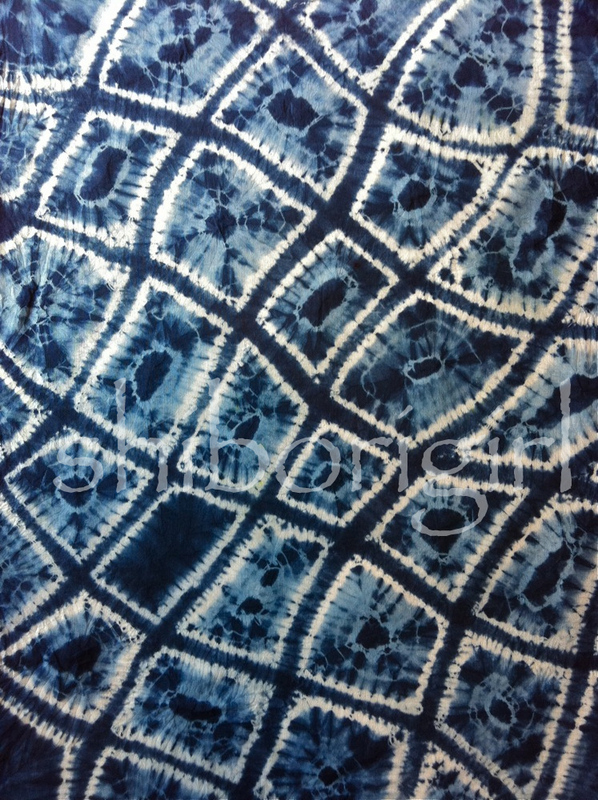 The back side shows the motif as darker than the ground. A form of kasuri? Or just a kind of double weave floating the lighter weft over the darker warp threads. I just don’t know. Again, a question for a weaver to answer. 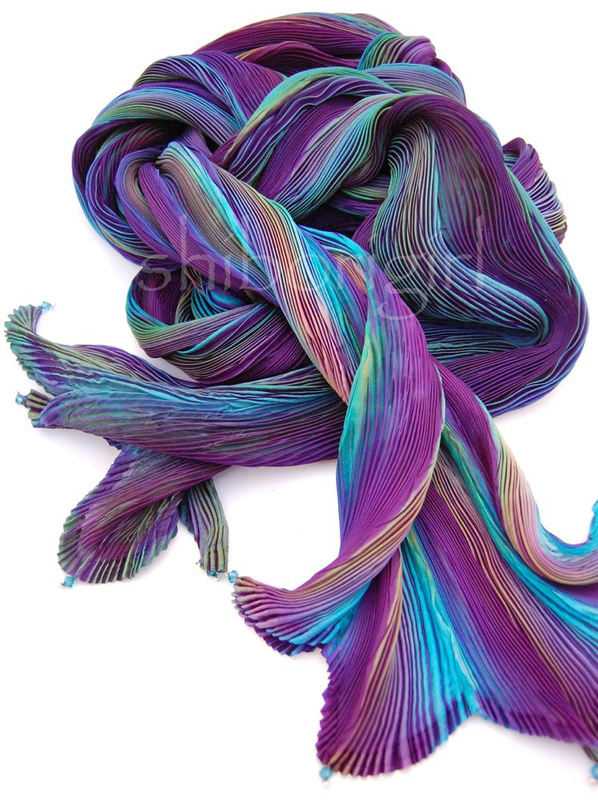 And then with the silk. a soft handspun yarn lightly dyed -perhaps with madder. Three pieces of this I dug out of a pile of things under a table, appear to be an old obi. ~this was found at the same flea market where I found the zakuri. the seller had several fine textiles. Makoto bought one especially nice boro kimono for his wife. This was in his scrap box (where I shop!) 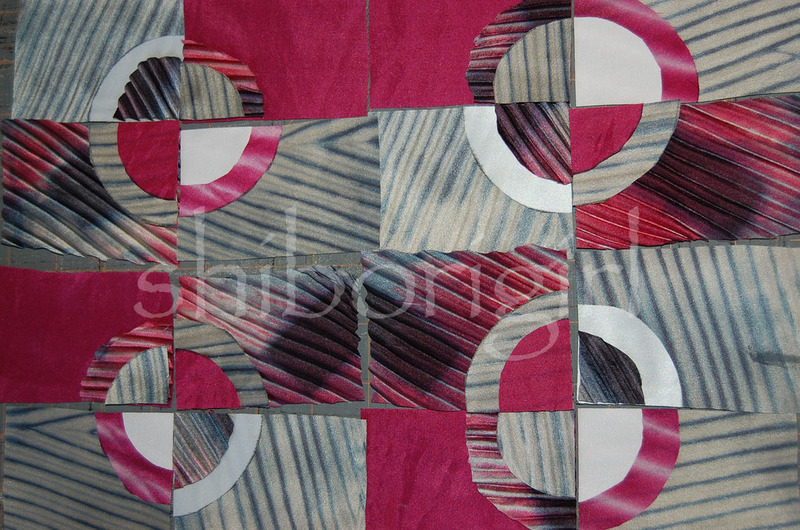 and I loved the color and the two way kasuri pattern. The warp is a fine black cotton and the weft a lovely orange slightly slubby fine silk. A great combo. He had several pieces and I bought only two and had regrets by the time I got home for not buying it all. To our surprise, the next day we saw him again at a different temple sale and I asked if he had brought it with him and he dug it out of a box and I bought the rest. 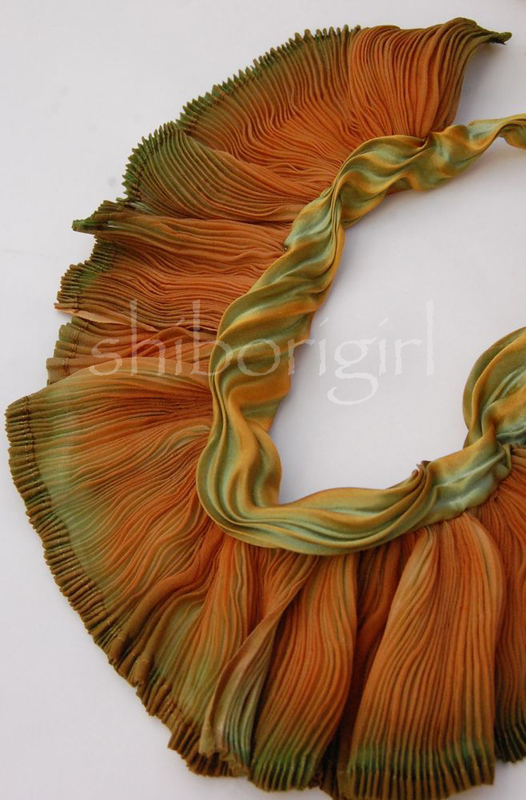 So 5 pieces in all-a kimono that was taken apart for cleaning and never put back together. I love that about kimono. The making of them does not require cutting into the fabric except for length and in the end you can dismantle the piece and use it all over again. What plain and common sense! 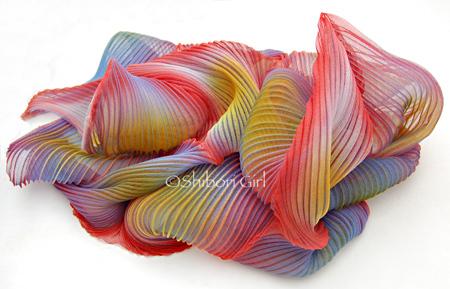 The one on the left (partially shown) is a shibori noren. Likely made or at least tied in China. The other one seemed more possibly Japanese. I liked what I saw in it. Two kasuri jackets or possibly summer weight yogi (for sleeping) – both in great condition. All hand sewn. 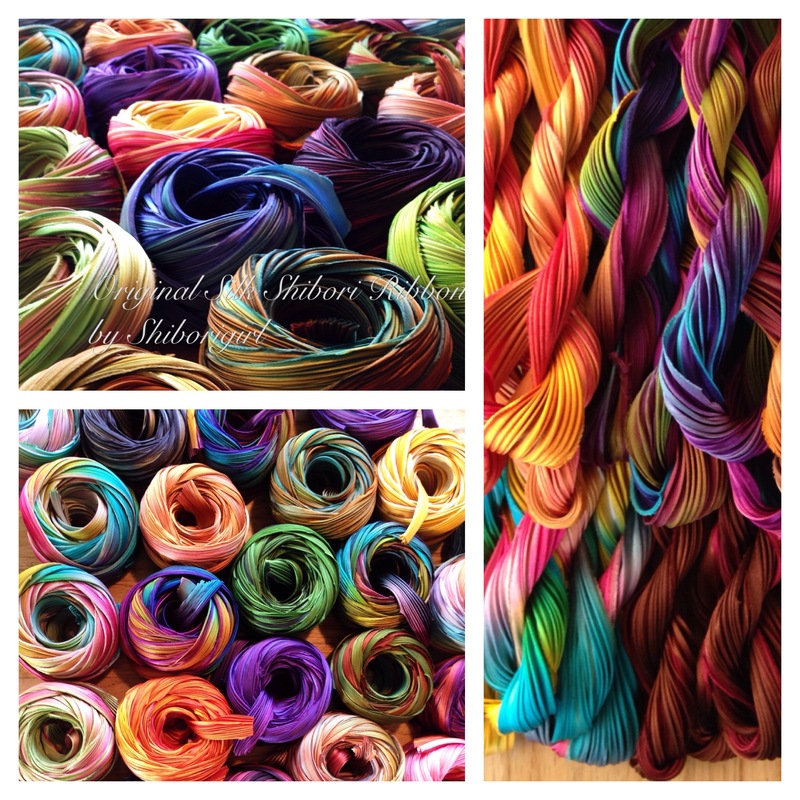 Each use different cotton kasuri fabrics. A couple of small seam repairs and I may put one of them in the shop. It’s quite small. But the fabric is wonderful. Took this for a test drive and liked it-fabric is some hemp I found along with the komebukuro and I’ve backed the coasters with a little hand stitched kasuri. They’re reversible. Moons of course. I keep wondering why we can’t have hemp in this country…it’s just such a practical enduring fabric. There is a shop update in the near future. 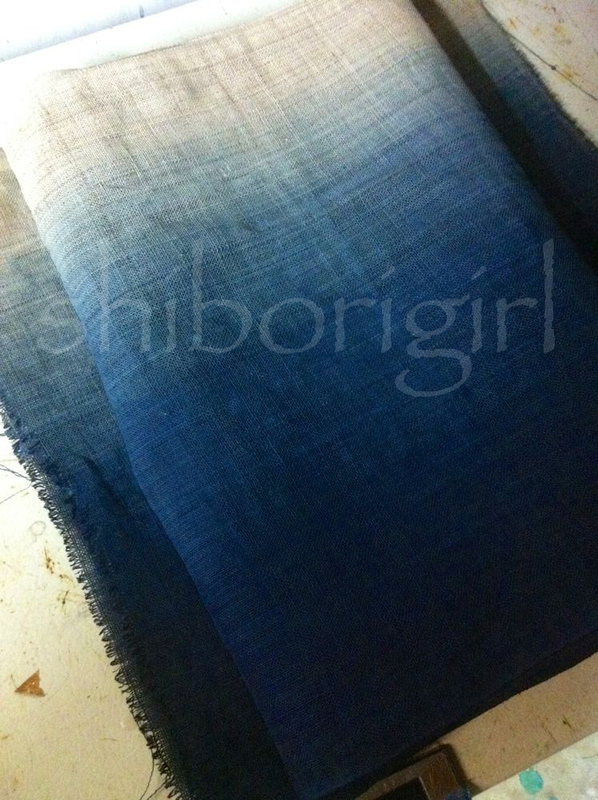 This entry was posted in indigo, itajime, japanese textiles, shibori, shibori ribbon and tagged hand woven, hemp, indigo, kasuri, komebukuro, mandala, shibori on June 14, 2012 by shiborigirl. simply skip this post if you are not interested in hearing some critical thoughts on making and selling your work at trunk shows. say what? 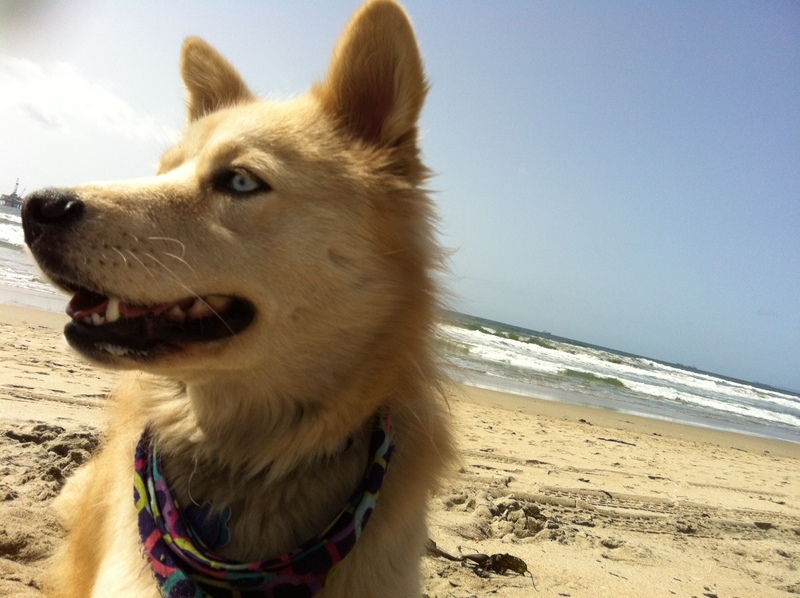 did you say bone? I was recently invited to do a trunk show at the Huntington Library for the re-opening of their famous Japanese Garden which has been under restoration this past year. I was excited! A great match-up between my work and the event which doesn’t present itself very often. I was honored to be asked. 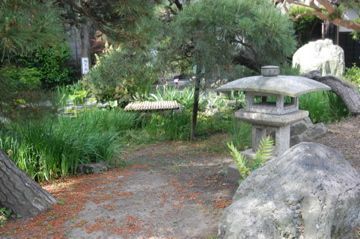 I love the Huntington and was looking forward to visiting the newly renovated Japanese gardens anyway. Of course there was a hitch…they want 50% of all sales. Now you might think that sounds good to you, but if you make a living this sort of thing you realize that you will likely loose money doing this. It’s one thing to sell your items outright at wholesale (50% off retail) to a shop or gallery for that price because they are committing to buying the merchandise (and likely meeting a minimum order), they are doing the display, the sales and everything else in regards to moving your merchandise (which is now theirs!). But in this trunk show situation, you the maker, are creating a collection of work for the event. You pack it all up, create a beautiful display for it, and stand there all day with it selling, demonstrating, and answering questions- among other things (like packing up everything that didn’t sell at the end of the day, creating an invoice for them of what sold and submitting it so you can wait several weeks to get paid-oh and NOT working in your studio on other things for that day)). So in effect, the museum shop’s only commitment is a couple of fold up tables they set up outside their shop, the ringing up of the sale and some museum bags to put the merchandise into. There is no commitment to the merchandise, no inventory for them to manage, no extra staff to hire on for the event (i guess my time is free?). After a number of emails back and forth with the staff there it was suggested that I just increase my prices 30% to cover the difference between what I wanted and what they were willing to give. Nice one. I pointed out to them that this would increase a $185 item to $240 and I didn’t think it would be salable at that price in addition to the fact that their customers could actually go online and see that they had been overcharged which would reflect poorly on us both. Their answer? Non- negotiable. Other artists do it. Hmmmm. No deal. Too bad. Had to turn it down. Very disappointing. I was told that in the past that artists/makers received a better % but a year or so ago they changed it to 50%/50%. I suppose we are just to be thankful for the opportunity to support the museum. I guess I’ll support it the old fashioned way by just visiting every now and again. They do have a free day each month and you can access tickets by going here. I write this here because I think it is of value to point out the fallacy of their thinking and what always feels to me like artists/makers being taken advantage of because there is always someone else down the list that is willing to settle for this sort of nonsense. Admittedly, it’s usually not full time professional artists/makers but I believe it brings us all down in the end. But I will still enjoy visiting the renovations at the Japanese Garden when it re-opens in late March. By the way, the upcoming workshop at the Japanese American National Museum is this Saturday Mar 3 from 1-4 PM. 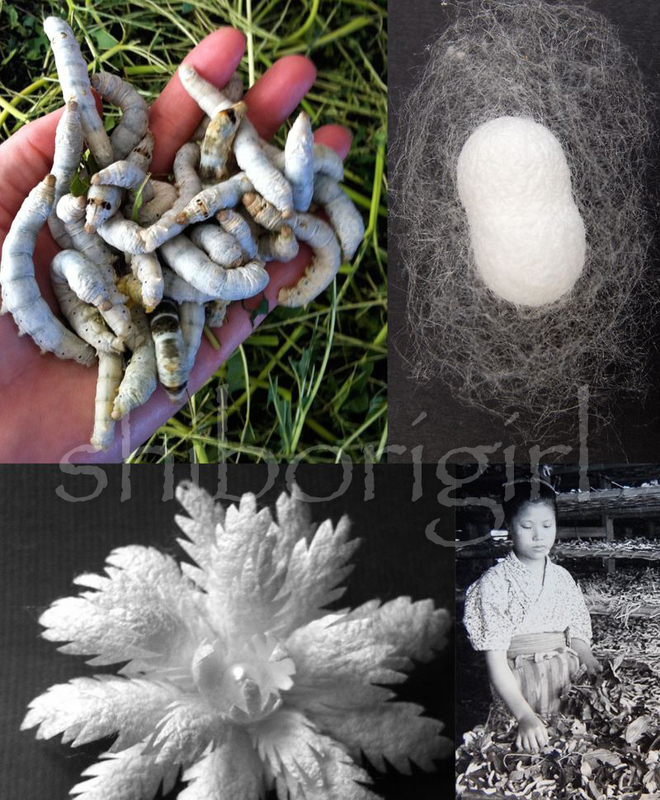 We will be working on silk in color and focusing on itajime. You can call the museum to sign up at 213-625-0414. 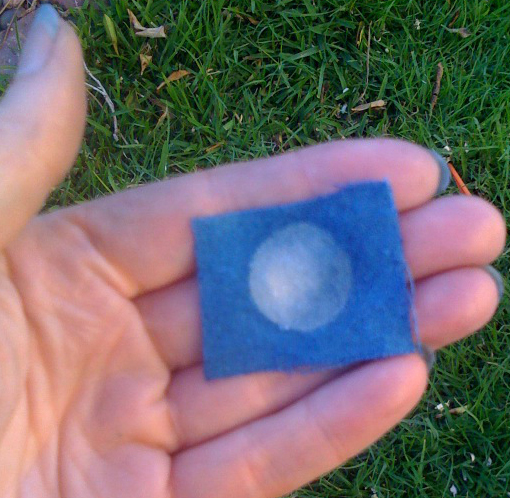 Also, this is a last call for those who want to join in on the online indigo workshop which begins on Monday. Looks like we have over 15 countries and 25 states represented in the class so far. I’m excited about what we all be able to learn from this! 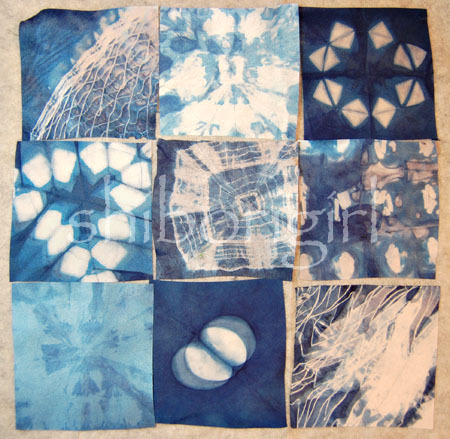 This entry was posted in business of craft, indigo, itajime, shibori, silk, where to find my shibori and tagged huntington library, Japanese American National Museum, japanese gardens, online indigo workshop, trunk show on February 29, 2012 by shiborigirl.